Find your readers. Understand what motivates them to read books similar to yours. Become their supporter, and in some cases, their friend. But focusing on book discoverability is a magic pill that will never arrive. Yes, you should optimize your books metadata to ensure it is easier to find in complicated algorithms of Amazon, but beyond that, I think the concept of “book discoverability” focuses on the wrong thing: books instead of readers. A book is a thing. An object. A file. A reader is filled with motivations, desires, needs, and complicated ways they align with books to shape their own identity. 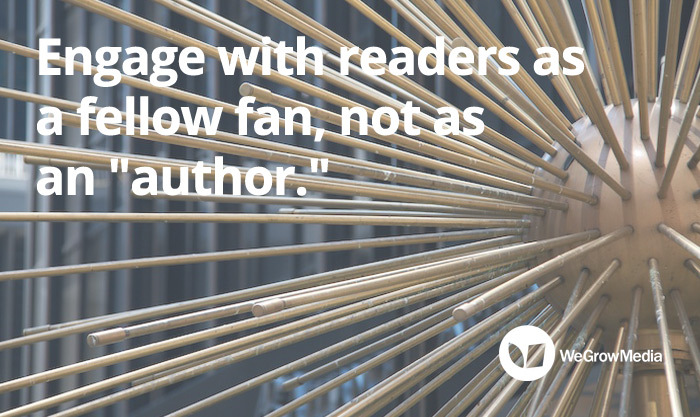 If you want people to find your book, focus on the latter – the readers, not the books. Focus on this: READER DISCOVERY. Find your readers. Why? Because this is a constant action that you can take, a process you can develop, and a way of being in the world as an author that constantly connects you to readers. Recently I was on a panel at the Writer’s Digest Conference East, along with Amazon’s Jon Fine. The first thing I said was that writers need to focus on understanding who their readers are. Out of the corner of my eye, I could see Jon nodding his head – his whole body really – in an exaggerated cartoon-like fashion. To me, this indicates that Amazon can only do so much to “shelve” your book along with millions of others, and catalog it according to proper categories and keywords and other relevant cues. Beyond that, know your readers. Instead of developing your product in secret, optimizing it and trying to make it perfect before a big launch day where you release it to the world, instead focus on developing customers. Understand your target audience, talk to them, learn from them. as you develop your product, constantly put it in front of your ideal audience to gather feedback. Don’t rely on assumptions as to what you think they want, partner with your audience and observe through actions they take what they enjoy and need. Doing so does not just help you develop a better product, but it literally creates a built-in audience as you do so. You develop customers as you develop the product. This is why I feel the concept of author platform is so important. 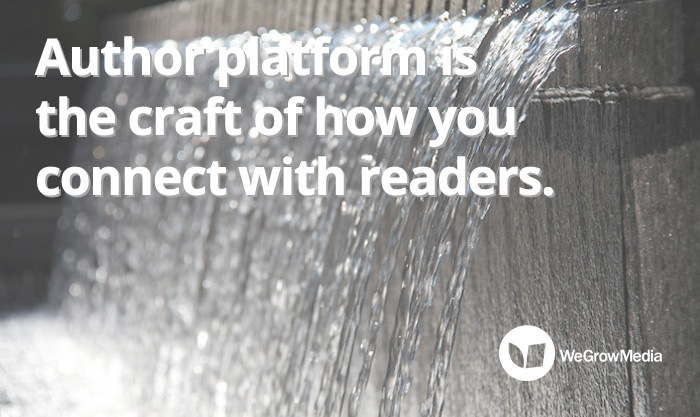 Author platform is how you develop the craft of connecting with readers. It is a skill that you develop, just as you develop the skill of writing. Few authors start out as extroverts able to chat with fans easily. They learn as they go, just as you can. 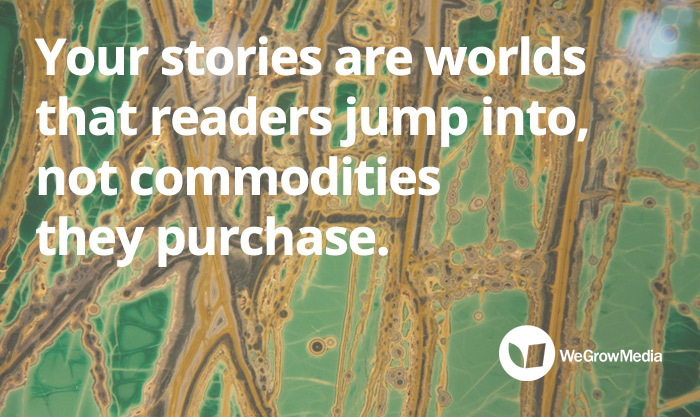 Let’s consider an example of how the reader discovery process works. This year, Hugh Howey became the case study as to how an empowered writer can find their audience, and make an amazing living at writing, publishing and selling their stories. When Hugh published his breakout story Wool, he didn’t know that this would be THE story out of everything he wrote that would take off. He learned this by publishing, sharing, and connecting with readers. Yes, of course, the first step is to take the craft of writing seriously, create good work, and focus on constant improvement. But Hugh not only connects with his audience, but learns from them. No, he doesn’t write TO an audience, he does learn about them. Knowing who your audience is shouldn’t change your work away from your core vision, but it can help you ensure that your stories reach an audience that cares. The web and social media offers you amazing tools to learn who your audience is and what engages them. Just as Hugh learns by publishing shorter fiction and then connecting with readers, nonfiction writers learn what engages people simply by blogging. Gretchen Rubin began blogging about happiness three years before The Happiness Project came out. Do you think that three years of engaging with readers helped her understand how to better grow her audience? Yes, that is a rhetorical question. By the time her book came out, she was immediately on the Today Show, Oprah, and hit the New York Times Bestseller list soon after. 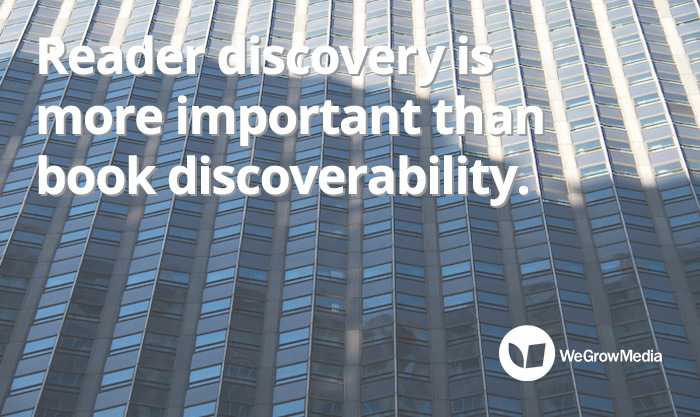 Book discoverability is not the problem writers should focus on. 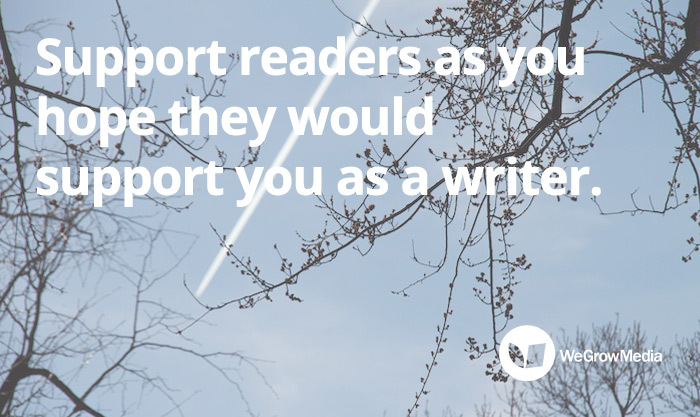 Rather, discover who your ideal readers are – this will provide the information you need to grow your platform and audience, and establish meaningful connections with people who love your writing.